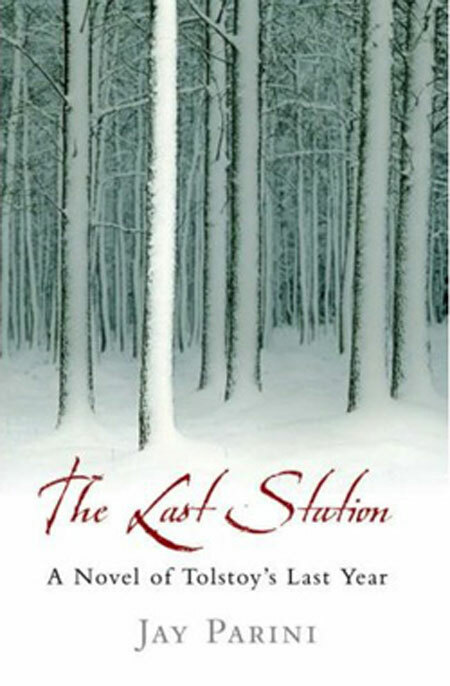 Parini’s The Last Station is a study of the end of Russian author Leo Tolstoy’s life.Â You don’t need to be a fan of Tolstoy to enjoy it–you don’t even need to have read any of his novels.Â This book stands on its own merits. Told in multiple first person narratives, the book explores how the various players see themselves and each other, enabling the reader to make up their own mind about their characters and motives.Â Personally, I came to like Tolstoy’s long-suffering wife Sofya Andreyevna the best, if only because all the other characters are ranged against her.Â She’s depicted by them as insane, hysterical, controlling, and I don’t know what else, when all she wants is to secure the royalties from Tolstoy’s work to their descendants.Â This simple–some might say, laudable–ambition finds her ranged against her husband, their daughter Sasha, and various of Tolstoy’s adherents and hangers-on.Â As it becomes obvious to her that she’s failed, she rages in various frightening–and impotent–ways, and finds herself excluded from her husband’s deathbed.Â The winners write the history: she drove Tolstoy from his lifetime home; she wouldn’t let him die in peace.Â But Parini makes sure Sofya’s voice is also heard. Russia stands on the brink of momentous change, but this novel, like Tolstoy’s own work, is more about the personal than the political.Â Tolstoy may despise the luxury in which he lives, but he’s unable to break away from it.Â He may wish to make the grand gesture of leaving his work to the nation, but he does it in secret, fearing a confrontation with his wife.Â What we see is a man who’s lionised by everyone around him–except Sofya–but who is too weak to live up to their perception of him.Â Yet his feet of clay go unobserved.Â He’s already an icon, no longer a man.Â All that’s left to him, therefore, is to die. Parini writes well, and does a good job of distinguishing the various narrators–Sofya, Tolstoy himself, their daughter Sasha, Tolstoy’s new secretary Bulgakov, his doctor Makovitsky, and the scary Chertkov, the leader of Tolstoy’s fan club.Â The most likeable character is Bulgakov, whose love affair troubles him only a little in the light of one of the leading tenets of Tolstoyism: celibacy.Â He’s more worried about the mission Chertkov has given him: to spy on Tolstoy and report back.Â Like Tolstoy himself, his solution is to obfuscate.Â He begins a tentative friendship with Sofya, but soon adopts the majority view of her. Interspersed in the narrative are some of the author’s original poems.Â If it is ironic that I found myself skipping them just like I skipped Tolstoy’s reflections on the nature of history in War and Peace, I’m not convinced that the irony was intentional.Â On the whole, I didn’t feel that the poems belonged–they broke up the narrative and disturbed the fictive dream. That reservation notwithstanding, this is a highly readable novel which gives an insight into the nature of illustriousness–and its price. 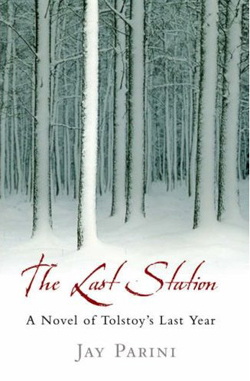 No user commented in " GUD Reviews: “The Last Station” by Jay Parini "